As recently as this year, leading global IT firms are developing technology that can outperform humans in a variety of ways. This has created an environment for artificial intelligence in areas where it had to date yet been contemplated (such as in medicine). Canada is and has been a leader in AI, but whether we’ll stay in that position is another question. 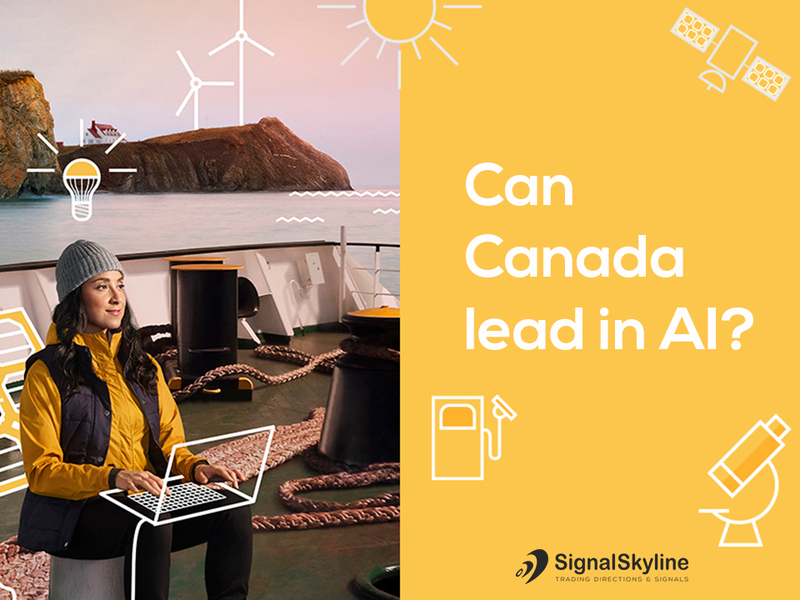 It’s worth noting that Canada is home to one of the largest AI labour markets in the world (see here: http://www.jfgagne.ai/talent). Undoubtedly, humanity is experiencing a period of exceedingly rapid technological advancement – and AI is no different in terms of its fast growth. Year-over-year from 2016 to 2017, the value of AI has been calculated as $2.4 billion U.S. globally. If there is so much growth and our AI labour market is so sizeable, Canadians shouldn’t be contemplating how to keep up; we should be reflecting on how we can lead globally. Hewers of wood and drawers of water – this is the stereotyped picture of Canadians since Confederation. While traditional, labour-intensive, low-skilled work has widely gone offshore, advanced manufacturing and advanced resource extraction are ever-present. 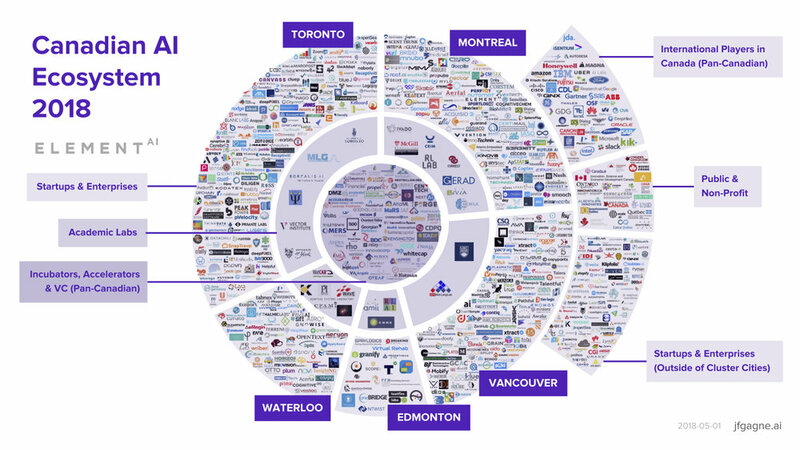 In addition, leading innovators in AI, blockchain and quantum computing are finding a home in Canada. Canadian startups are going global – especially in the U.S. and Europe. Not to be outdone, however, some developing countries like China are making substantial commitments to AI. Admitting to feeling fear is difficult for some. In the context of AI, it is thought by many people that AI will remove jobs. What is clear, however, is that there is no evidence whether job losses will be permanent. After all, while technology has replaced jobs since the beginning of the Industrial Revolution, new jobs and new professions have been created. Attempting to fight technological change will likely result in frustration; Canadians – no matter their age, socio-economic background, or other factors – can become informed and educated in technology. In recent years, for instance, Canadian governments have funded programs to educate seniors in how to use the internet, social media and modern communications technology. There are major players globally who are already seeking to lead in AI – namely, China, the U.S. and Russia. 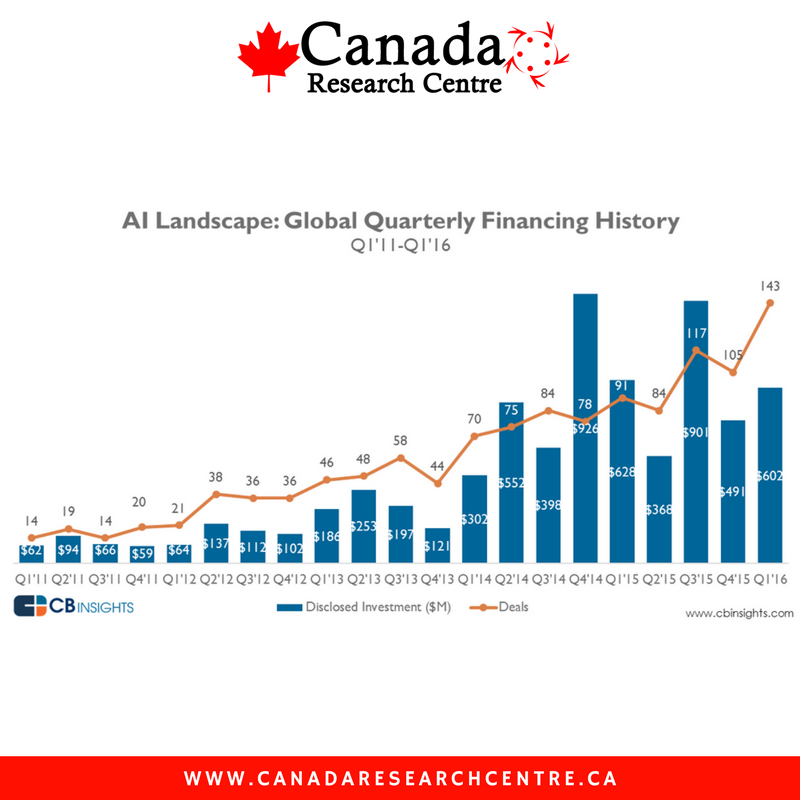 As a country with a smaller economy than the aforementioned, can Canada lead in AI? The first step is through participation in global thought leadership in AI. Subsequently, Canada could develop AI-based solutions that can elevate the standard of living for all. Canada can project a commitment to welcoming entrepreneurship, talented thinkers, new technologies, and investment from abroad. Subsequently, if we engage with the world, we can lead in developing AI technologies – and reap the economic benefits that will result. Prev What Do Successful Forex Traders Do?